The bed: So many things to so many people. Undeniably the centerpiece of our inner sanctum (otherwise known as the bedroom). A bulwark against the emails, texts and group chats that we are constantly barraged with. So, it’s important to find that one piece that not only gets the job done, but makes getting to bed a complete joy. This vintage style treat adds just the right amount of detail to a space. The clean-lined upholstery comes in a range of neutral tones, which work well with almost any decor. 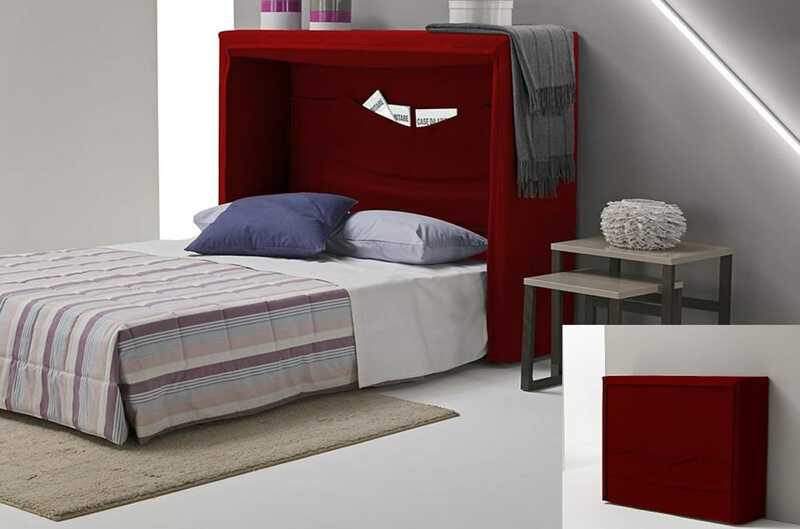 The tall padded headboard provides a cozy nest to curl up against with your favorite read. Mid-century modern goes minimal. 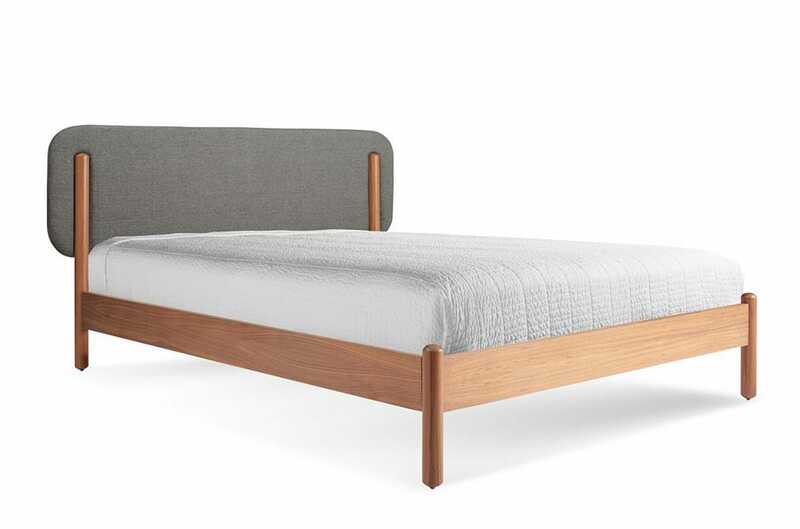 The simple frame and headboard have a light, floating look that belies the solid hardwood construction, yet also have a tactile gravity that can center a whole room. Offered in a huge range of finishes—and with minimal detailing—this can work with almost any existing decor. Sometimes you need a bed that is not always a bed. For those times when you need a room to be multipurpose, the Wally gets the job done. 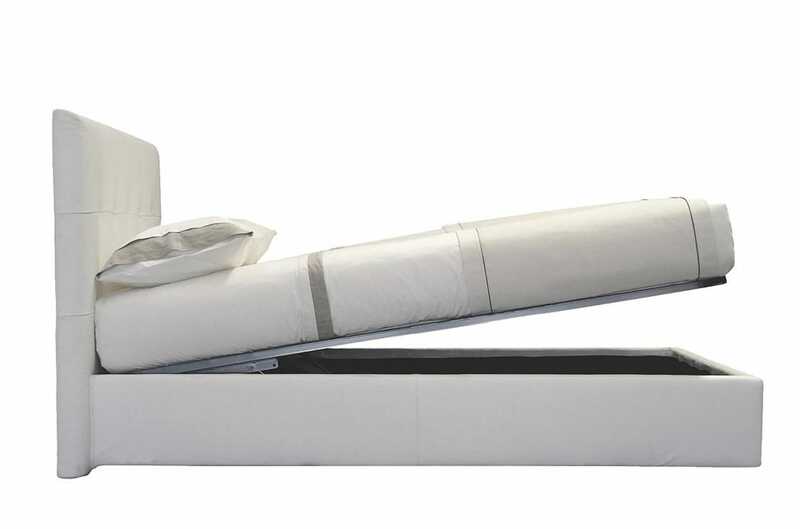 Packing down to a slim 17.3 inches, this full-sized bed is the ideal option for a comfortable guest bed or space-tight loft. 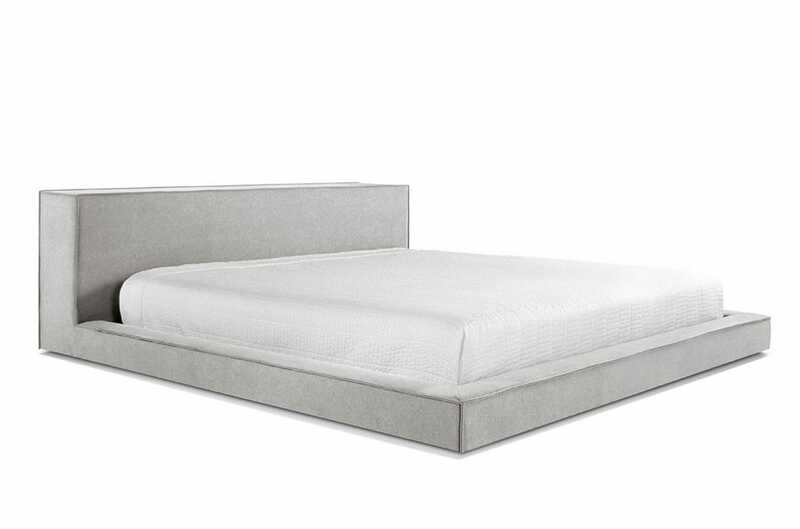 The Ditto Bed proves that modern does not have to mean staid. This playful option adds a fun touch to any room. The design also combines the best of wood and upholstery, with a plush headboard for comfortable late-night reading and the easy wear of a hardwood frame. Rich modernism for sophisticated palettes. The elegant wood detailing can stand on its own. But paired with the matched floating bedside tables—and all the other Moduluxe storage pieces—this collection really comes to life. The grand scale and gorgeous wood finishes give a warm and comforting feel to this modern design. Room too tight to fit in a dresser? Or did you just already fill up the dresser? Either way, the Modu-licious has you covered. 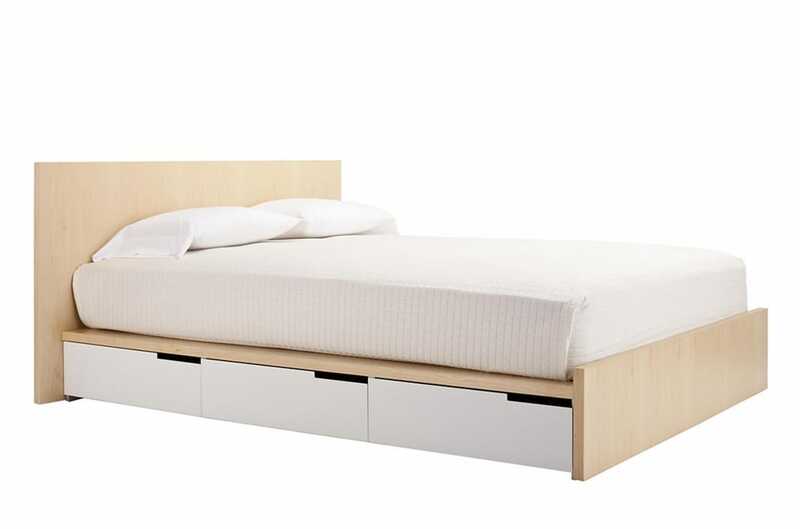 The clean lines of the headboard and the footboard shelter the fantastic functionality of pull-out drawers on both sizes of this storage horse. Where minimalism meets functionality. 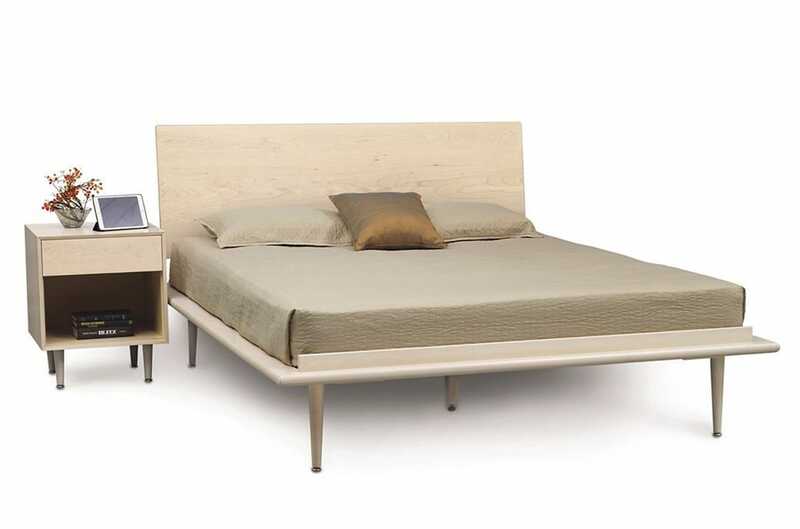 The Japanese-inspired Worth Bed has bold lines with a floating platform and side tables, and a clean upholstered headboard. 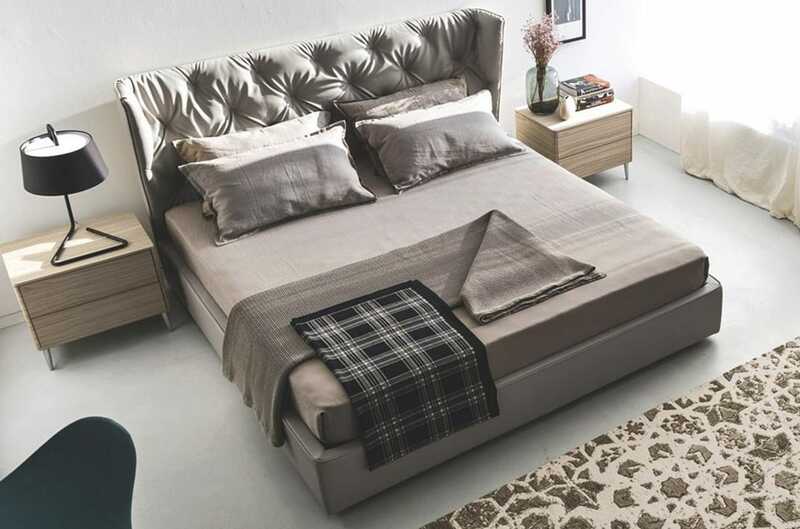 The ideal bed for a space with little to distract from its low, sleek design. This piece comes with its very own magic trick. 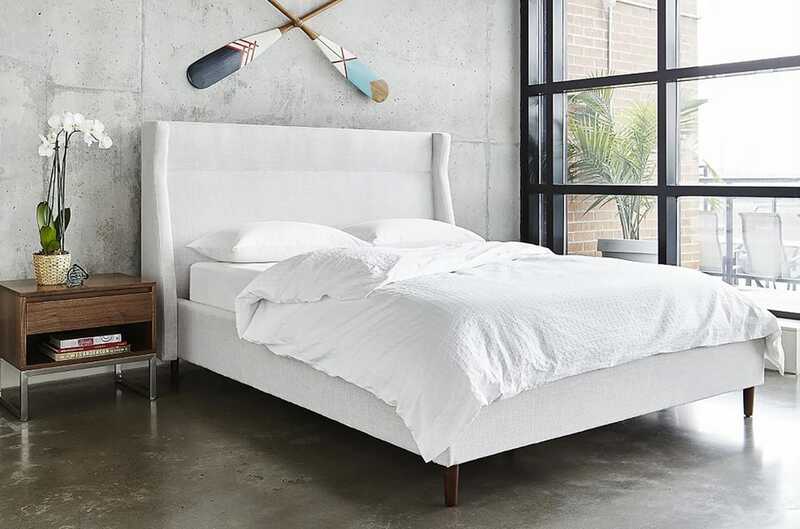 Not only do you get an elegant upholstered headboard and frame, but the foot of this version rises up to reveal cavernous storage for all of the things you need to get out of the way. Modern elegance takes center stage. With historical references and clean lines, the Wynn makes a bold statement. And it’s a looker that’s easy to love. 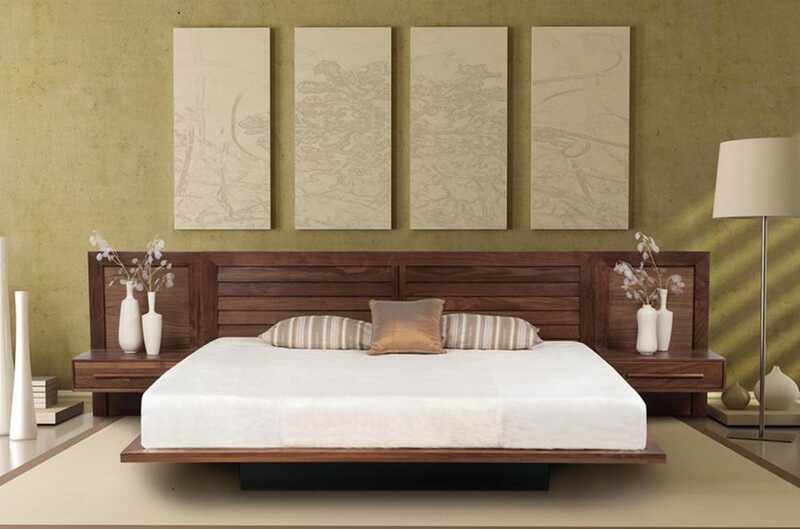 The tufted headboard features a removable cover to make sure that your elegant oasis stays nice and tidy. Sometimes simple is best, and it doesn’t get much more simple than the Dodu. The minimal lines of this frame get the job done, and they look great doing it. The extra thick headboard provides the perfect place to prop up a pillow and relax, while the wide, flat top can double as a shelf to keep your charging phone off the floor.